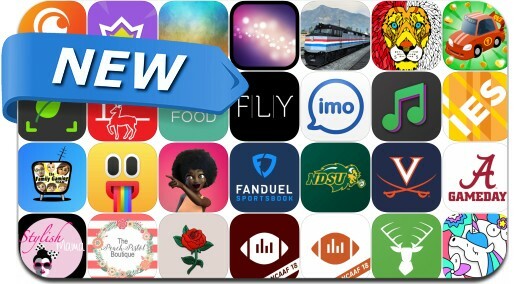 iOSnoops is constantly on the lookout for new apps, and here is a selection of 35 new iPhone/iPad apps. This new apps alert includes DotsLine, ARTBOOK, Pets Dash, Muvio, Oppa doll, Dope Wallpapers, Cool Wallpapers, Napturalista Moji and many others. Exciting adventure of the pets cross the difficult institutions. One-tap easy-to-learn controls, rich visual effects and addictive gameplay mechanics.